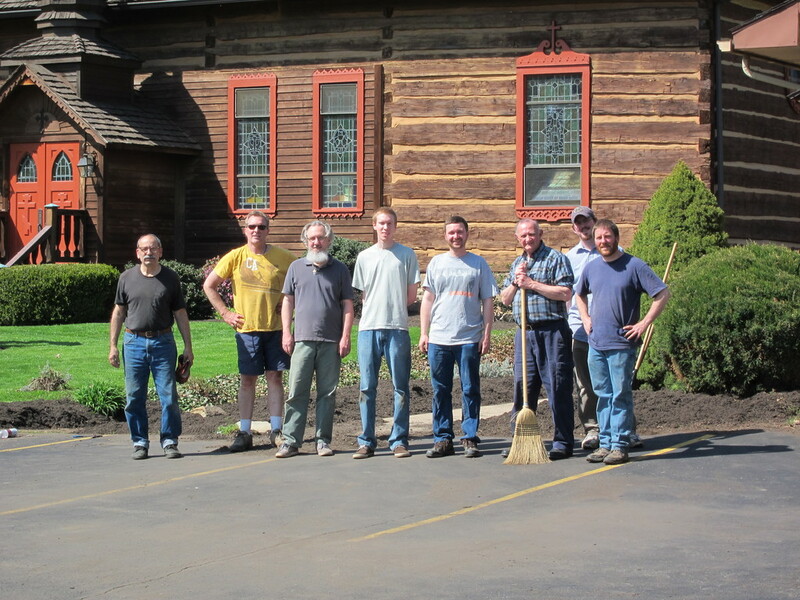 ADOPT-A-SEMINARIAN: Provides funding for a deserving seminarian. ALTAR BOYS: assist the clergy at all worship services. ARCHIVES: documents parish activities for posterity. HOLY CROSS AUXILIARY supports parish life by coordinating weekly fellowship hour, parish dinners, fund-raising projects and special-event fellowship. Monthly Perogi Projects generally held the first Friday of every month (September through May). BUILDING AND GROUNDS: coordinates property and lawn maintenance on a rotating basis. 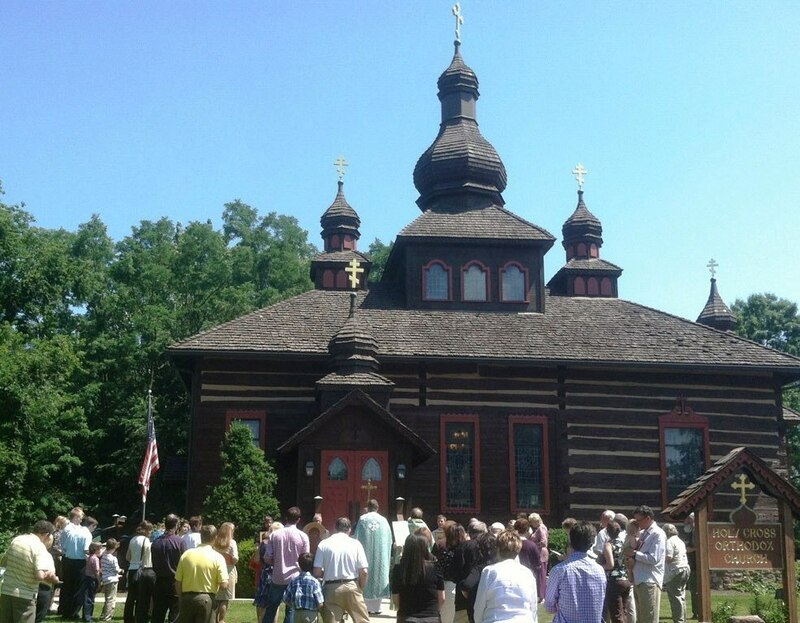 CAMPUS MINISTRY: holds weekly gatherings during the academic year through the OCF (Orthodox Campus Fellowship) at Bucknell University in Lewisburg. Other colleges in the area include Penn College of Technology, Lycoming College, and Lock Haven University. CHARITY/OUTREACH MINISTRIES: Holy Cross participates in community events such as Souperbowl Sunday, CROP Walk against hunger, and Life-Chain. Ongoing collections of food, household and hygiene items support St Anthony's Center, the United Churches Food Pantry, and the Shepherd of the Streets ministry. 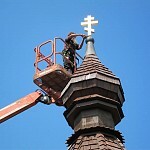 Globally, Holy Cross is a partner with IOCC (International Orthodox Christian Charities: iocc.org). Updates are posted on the mission and ministry bulletin board in our Orthodox Fellowship Center. CHURCH TOURS: coordinates individual/group tours, visits and talks about the church and offers specialized informational programs in areas of history, art and architecture. COMMUNICATIONS: Holy Cross publishes a weekly bulletin "The Voice," various tracts and brochures, issues press releases, and maintains the parish website. We've recently added a Facebook page (accessible via our parish website). EDUCATION: Sunday church school classes (ages 6-16) meet after Coffee Hour (September through June) with volunteer instructors and assistants. Weekly adult study group sessions meet Monday nights (September through June) with clergy. Special series offered occasionally by parish members. Summer Vacation Bible School held in August. A Question Box in the Fellowship Center is available, with answers provided by clergy during Sunday Coffee Hour. We hold a Fall Lecture series with guest speakers on October Mondays, provide occasional retreats, and interface with deanery/diocesan education programs. FAMILY NIGHTS: schedules monthly pot-luck dinners at 5 pm prior to Saturday Vespers. 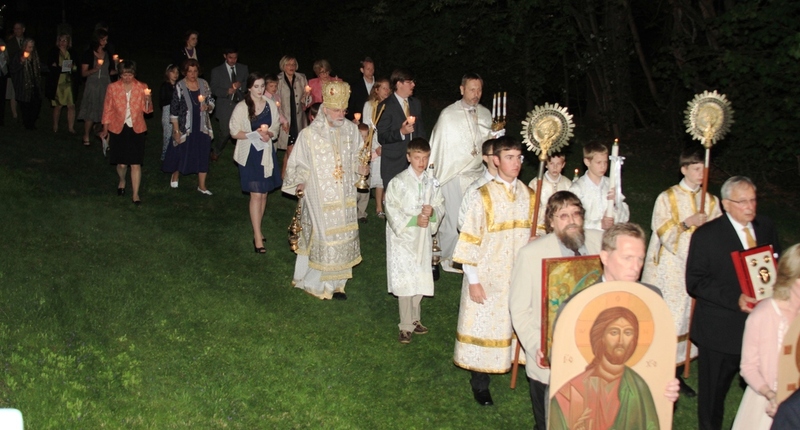 FEAST DAY SERVICES: Major Orthodox feasts are celebrated with Liturgy on the day of the feast and Vespers on the eve of the feast. Additional weekday services are announced in the weekly bulletin. 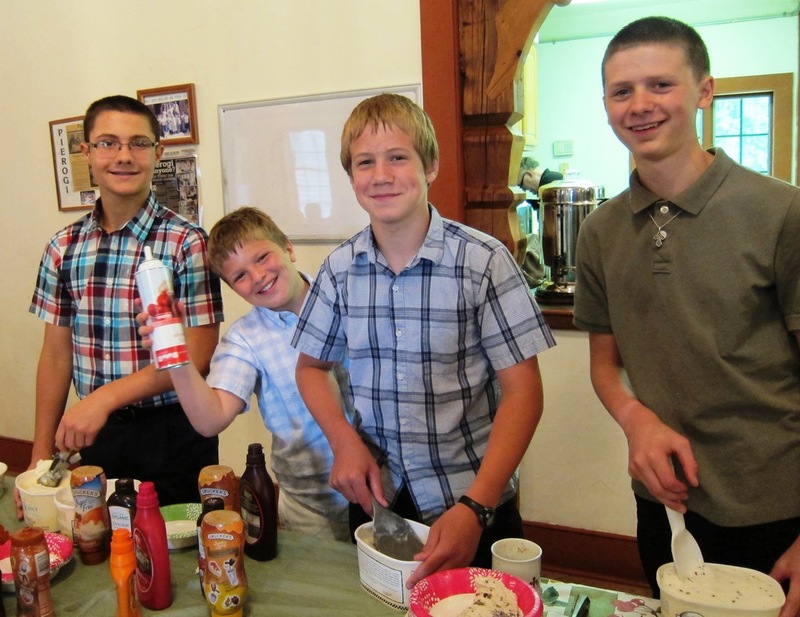 FELLOWSHIP HOUR: parish members host weekly post-Liturgy refreshments. FLOWERS: coordinates seasonal flowers and floral arrangements for the Church. GREETERS MINISTRY: welcomes newcomers to our church and helps guide them through services. HOME BLESSINGS: annual pastoral visits available to all parishioners during the Theophany season in January. HOSPITAL MINISTRY: assures parishioners are visited and prayed for while patients at Susquehanna Health System and other area hospitals, assisted living centers and nursing centers. (Due to privacy regulations, parishioners/families should inform the parish office of hospitalization). INQUIRERS CLASSES: general sessions to enhance personal instruction; for those desiring to further explore the Orthodox faith. LENT/HOLY WEEK CYCLE: A full season of worship, prayer, study, and spiritual enrichment leading to the central feast of Holy Pascha: the Resurrection of Christ. 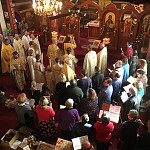 MISSIONS: reports on and supports international efforts of OCMC (Orthodox Christian Mission Center: ocmc.org) and partners with the OCA and Diocese of Eastern Pennsylvania to support domestic missions and new church plants. PARISH COUNCIL: provides regular administrative leadership by elected officers at monthly meetings to address all administrative, financial and maintenance issues. PARISH MEETING: held annually in January as the highest administrative and legislative body of the local church that receives reports, elects officers and adopts an annual operating budget. "PRE" COUNSELING: by appointment with clergy, prepares candidates for participation in the Sacraments of the Church including Baptism, Chrismation and Marriage. PRISON MINISTRY: offers monthly services at LSCI Allenwood and coordinates visits to area federal, state and county prisons upon request. READERS: schedules reading assignments for divine services on a rotating basis. 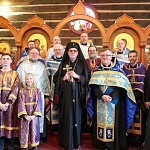 UNITED CHURCHES OF LYCOMING COUNTY: Holy Cross participates in local ecumenical ministries: newspaper columns, telephone devotions, educational and Ecumenical lunch programs. Our church hosts an annual January service in observance of the Week of Prayer for Christian Unity. 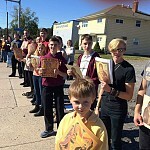 YOUTH MINISTRY: coordinates parish youth activities and supports youth activities in cooperation with the Diocese of Eastern Pennsylvania. ZOE FOR LIFE: Holy Cross supports this Orthodox center in Ohio in their ministry to new mothers and adoption referral services.